The U.S.-based Gordon and Betty Moore Foundation will donate $8 million to help Costa Rica's financially strained national park system combat poaching and illegal logging on the Osa Peninsula, in Costa Rica's Southern Zone, government officials announced this week. "This fills us with tremendous joy," Environment and Energy Minister Carlos Manuel Rodriguez said at Tuesday's Cabinet meeting. "It's not just any country or any project that is accepted by the Moore Foundation." The donation, which will be distributed over a period of three years, is medium-sized but "unique" for the organization, according to Moore Foundation representative Jennifer Cruz. 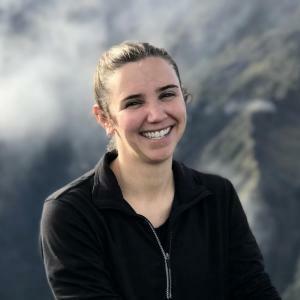 "It doesn't fit in with our approved initiatives, but the foundation felt it a unique opportunity to make a difference," Cruz told The Tico Times from her office in Washington D.C. The Moore Foundation, based in San Francisco, California, normally focuses its environmental conservation efforts on two major initiatives, Cruz said: an effort to save salmon in the northern Pacific, from Alaska to Russia, and rainforest conservation in the Amazon region. She said the donation for Costa Rica will go to the non-governmental Nature Conservancy, which will be charged with working with the Environment and Energy Ministry (MINAE) and non-government organizations to combat illegal hunting, logging, gold panning, mining and squatting across the peninsula, which is home to the 54,000-hectare Corcovado National Park. It was not clear whether to donations would play a part in resolving the conflict between the government and the hundreds claiming they were gold panners and miners and were left jobless when Corcovado National Park was created. More than 100 former oreros have been camping in front of the Casa Presidencial in San Jose for weeks (TT, Nov. 5). Poaching on the Osa Peninsula reached a breaking point this year, according to scientists from the Universidad Nacional (UNA), and will likely lead to the regional extinction of jaguars and white-lipped peccaries if nothing is done. Illegal hunters in recent years have stepped up their activities in Corcovado, leaving the animals with no haven to reproduce, said Eduardo Carrillo of UNA, heading what is widely known as the world's leading jaguar study. Since 2000, the jaguar population in the park has plummeted from between 100-150 to between 30-40 this year. The other park in the area is Piedras Blancas National Park, opposite the Golfo Dulce from the peninsula. Efforts have been under way for years to create a biological corridor connecting the two parks, Carrillo said. According to his most recent data, there are no jaguars in the corridor (TT, July 23). The donation, Rodriguez said, will provide for the continued protection of the park through additional park guards and social programs to help those who hunt white-lipped peccaries for subsistence. Scientists and MINAE officials agree an adequate number of guards in the park would curb poachers and give the animals a chance to recuperate. Because of the scarcity of government funding, conservation efforts on the peninsula have been surviving almost strictly on donations from area hotels and tour guide companies. The non-profit Corcovado Foundation manages funds from at least ten private donors and has spearheaded initiatives to build a new park guard station on Corcovado's largely unmanned northern border, where MINAE officials say most poachers enter. According to Corcovado Foundation president Alejandra Zuniga, those efforts had been chipping away at the poaching problem, but a large donation is what was needed to save the region. "This is what we've been waiting for," Zuniga told The Tico Times this week in response to news of the $8 million donation. "This is great for the park. It's wonderful." Nature Conservancy President Steve McCormick said in a statement that the donation would provide for long-term protection of the region. "This donation not only permits us to immediately protect the most threatened areas of Osa, it also permits us to train our associates so they can protect this surprising habitat in the long term," McCormick said. Cruz, of the Moore Foundation, pointed out that the donation would be used across the region, and that working with existing organizations such as the Corcovado Foundation will be a vital component to the conservation effort. She said the poaching crisis played a part in the awarding of the donation "in a general sense, in that we know that the Osa is currently under threat and we know that large mammals are experiencing threat." Minister Rodriguez made a point of especially thanking President Abel Pacheco for his efforts in negotiating the Moore Foundation donation, and denied that the government had ignored the poaching problem. "More than trying to evade reality, we have confronted this situation," Rodriguez said. Cruz also said the President played an important role in negotiating the donation, calling him a "great advocate" of conservation on the Osa Peninsula. Rodriguez said additional government funding for the parks will not come until the Legislative Assembly passes the Permanent Fiscal Reform Plan, a controversial and ambitious tax proposal that has been debated for nearly three years. In the past, Pacheco has said the government is financially unable to combat the poaching, arguing he "can't get rid of doctors to hire park guards" (TT, July 23). 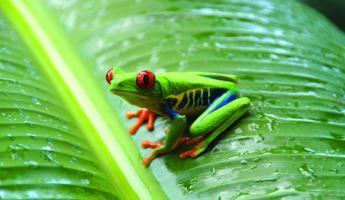 Adventure Life's Costa Rica tours help to benefit Corcovado National Park and the Osa Peninsula. 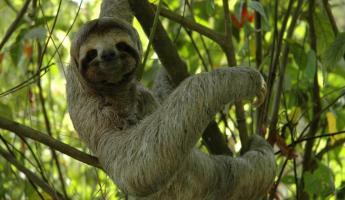 Those interested in directly donating funds to conserve the Osa Peninsula can visit www.osacampaign.com.